Spring arrives in just a few more months. When it does, in addition to the normal cars, pickup trucks, and SUVs, many Florida roads will be dotted with U-Haul trucks and other do-it-yourself moving trucks of various sizes. Even the smaller trucks are difficult enough to drive on wide and straight freeways. They are almost impossible to handle on narrow and winding secondary roads, especially since the inexperienced drivers often have one eye on the road and one eye on their GPS navigation devices. What happens if one of these trucks causes a car crash? 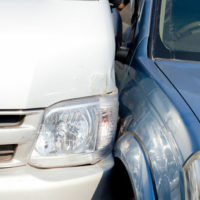 In these situations, traditional tort theories like negligent entrustment dictate that the vehicle’s owner is responsible for damages. But because of the controversial Graves Amendment, vehicle rental companies may be immune from liability in these cases. The owner or agent was not otherwise negligent. Congressman Sam Graves, the Missouri Democrat who sponsored the amendment, has since expressed regret over its passage, but it appears very unlikely that the Graves Amendment will be undone anytime soon. Like many legislative add-ons, there is almost no legislative history in support of the Graves Amendment aside from a very brief floor debate. This lack of guidance makes it easier for personal injury attorneys to poke holes in the Graves Amendment and hold deep-pocketed vehicle rental companies liable for damages in these instances. Congress probably intended the first condition — trade or business — as something of a preamble. But because of the way this phrase is worded, it creates an opening to pierce the Graves Amendment’s veil. The text does not define this key phrase. But the Uniform Commercial Code defines “merchant,” a similar term, as someone who “holds himself out as having knowledge or skill peculiar to the practices or goods involved in the transaction.” Most moving truck lessors are actually moving services companies that happen to have a few trucks on the lot. The agents at these establishments usually know nothing about the vehicles apart from simple operations, like starting and stopping or loading and unloading. Since these individuals have no specialized knowledge about the truck, they are arguably not in the trade or business of renting such vehicles, and therefore the Graves Amendment is inapplicable. The agent or owner must also be not otherwise negligent. There is a growing trend among such businesses to verify driver’s licenses beyond a visual inspection. If such inspection is not performed, and the lessee who causes a car crash also has a poor driving record or even a suspended license, the vehicle owner is arguably liable for damages. The Graves Amendment does not totally derail third party claims against vehicle rental companies. For a free consultation with an experienced personal injury lawyer in Brandon, contact Reed & Reed. We have four area offices (St. Petersburg, Lakeland, Tampa, and Clearwater).